Hey! Long time, no talk! How have you been? I have been keeping busy with visitors and my first ever Stampin' Up! event as an employee. I loved working OnStage! It was so much fun to be able to chat with fellow demonstrators and to hear everyone's excitement about the new Annual Catalog first hand. 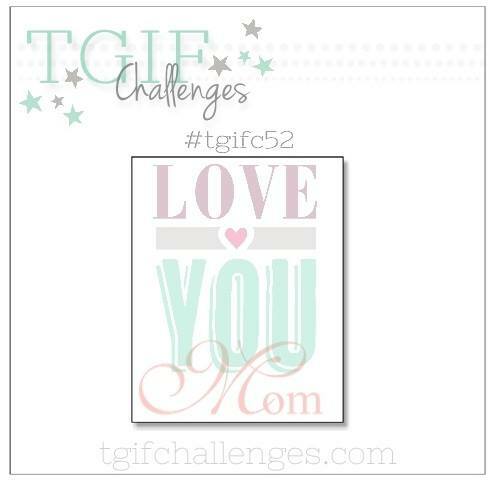 Now that things have calmed down a little bit, I'm going to get back into the routine of participating in the TGIF Challenges. I know I have said that before, but I mean it this time! There is also reason to celebrate - TGIF Challenges turns one today! 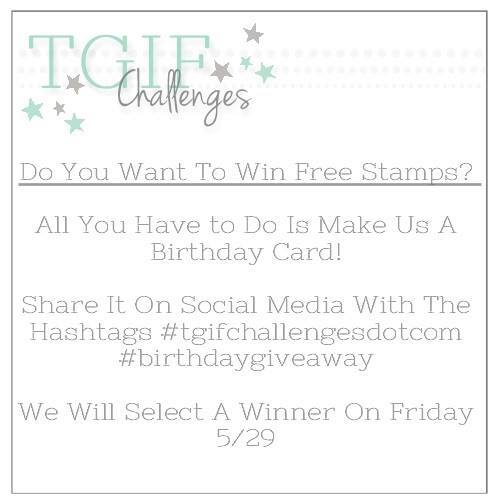 Be sure to check out the details below and on the challenge site to see how you can win a free stamp set! The challenge this week is to create something for Mother's Day. 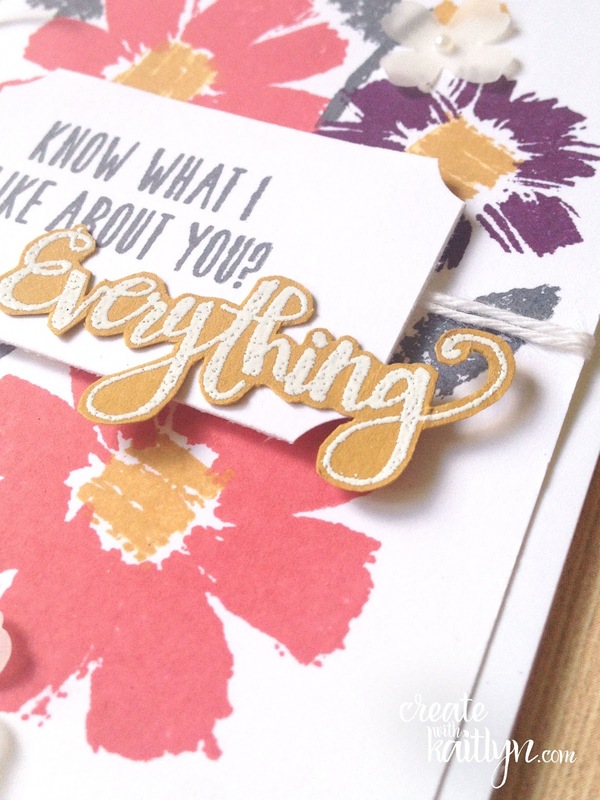 I just got the exclusive All About Everything set in my Paper Pumpkin and thought it would be perfect! I love this unique color scheme of Watermelon Wonder, Delightful Dijon, and Blackberry Bliss. Instead of pulling in a green for the leaves, I went with Basic Gray so it didn't compete with the other colors. I have been seeing lots of people fussy cut stamped words and decided to incorporate that look on this card. I think I might be hooked! I love this look of fussy cut words! Now, go on over to TGIF Challenges, join the challenge and help us celebrate our birthday!